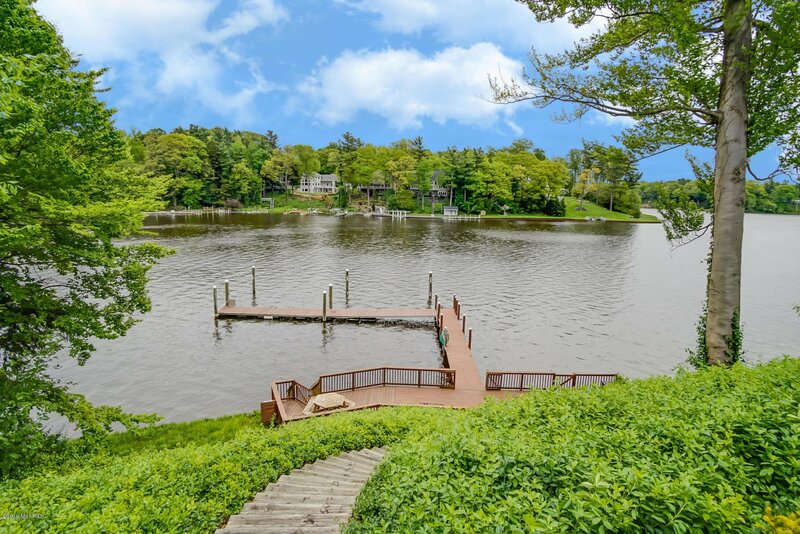 This Crystal Bay private estate will not disappoint. 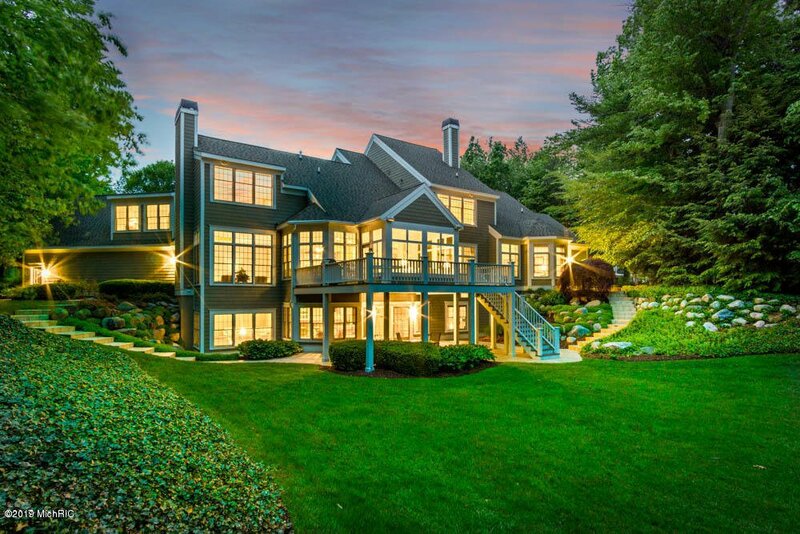 From its grand exterior architecture to its expansive 9,000 sqft floor plan, this custom home showcases timeless design throughout. 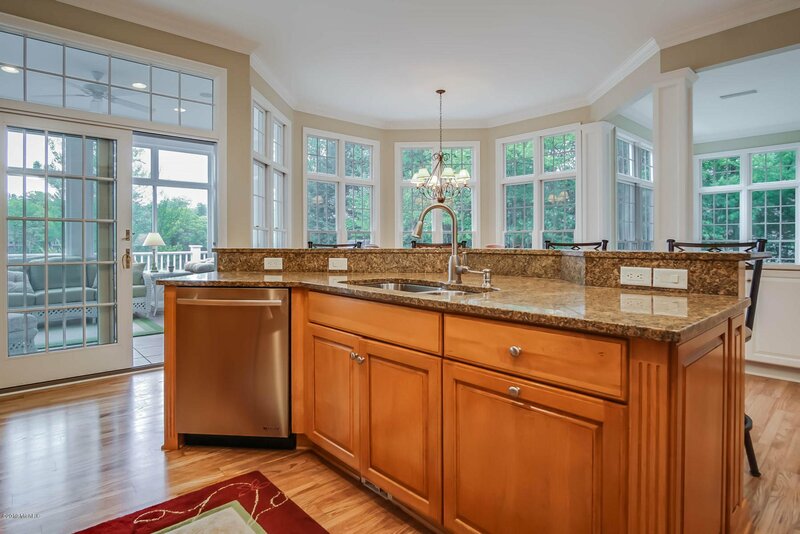 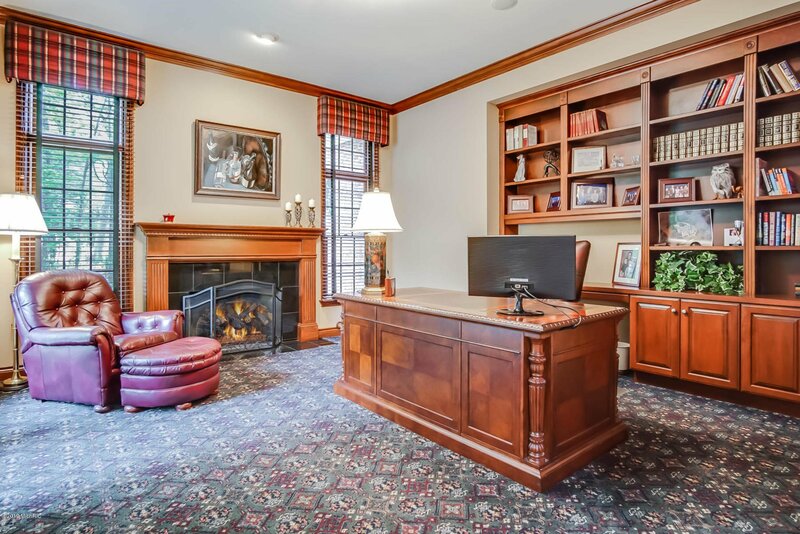 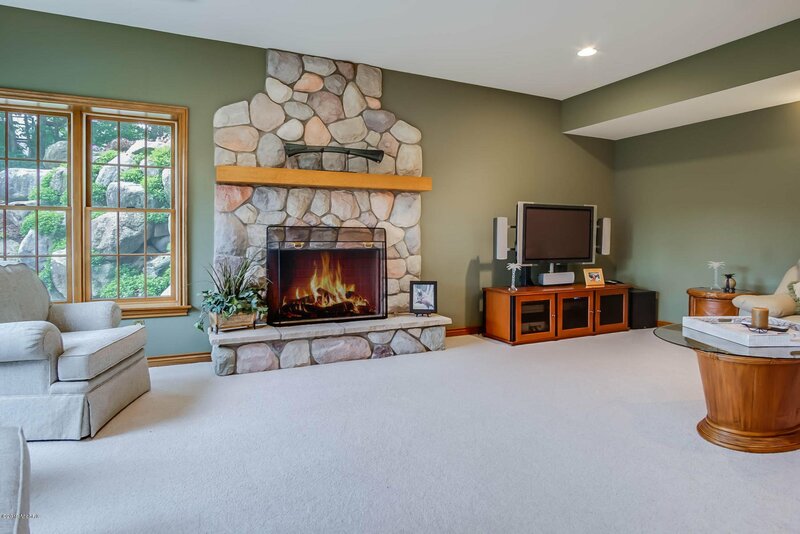 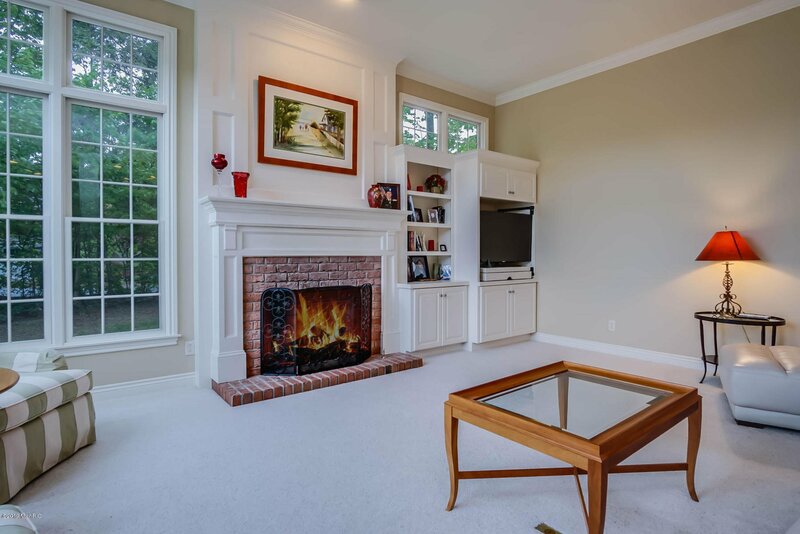 Custom crown molding, 4 fireplaces, solid surface counter-tops, and numerous built ins are just a few of the amenities that make this property impressive. 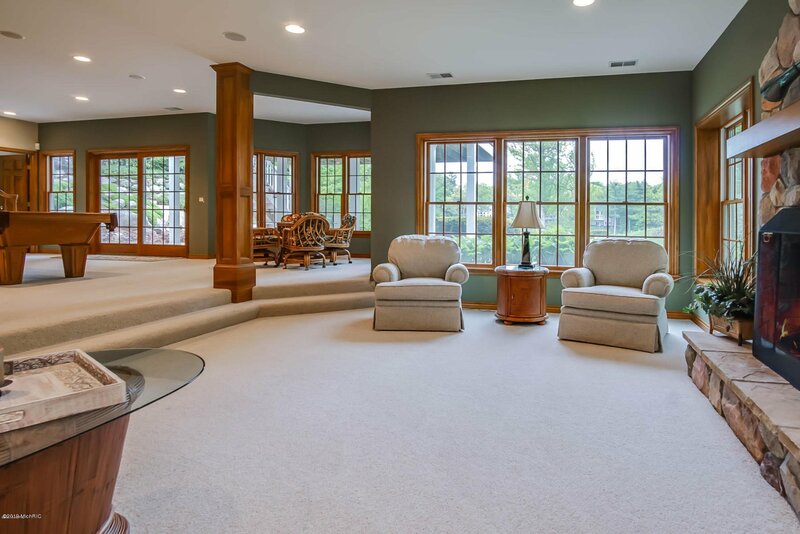 Wired for sound, this home has a total home surround sound system ready for entertaining at a moment's notice. 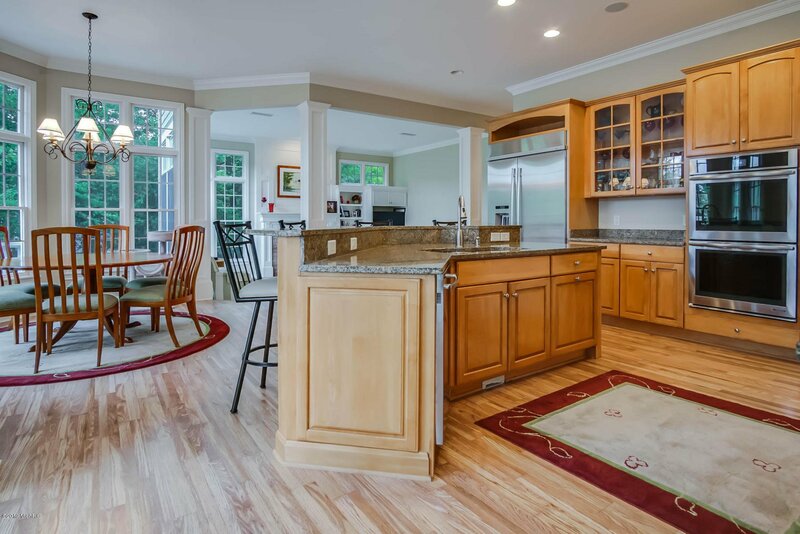 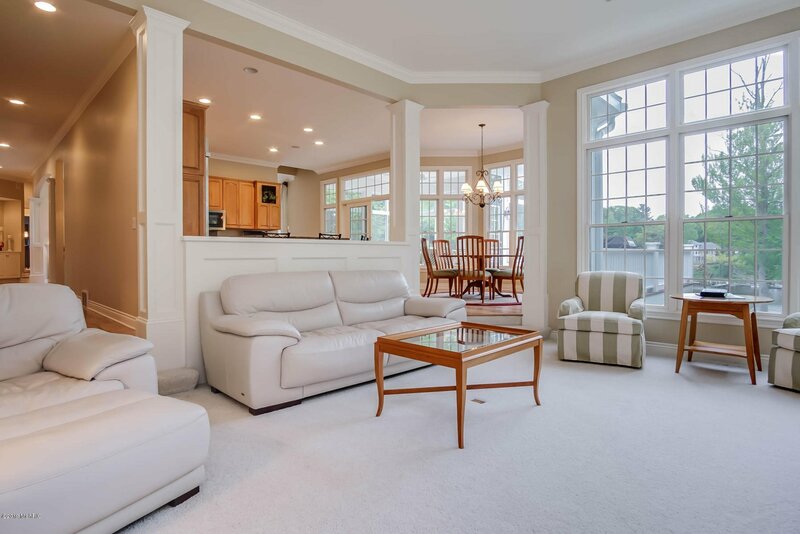 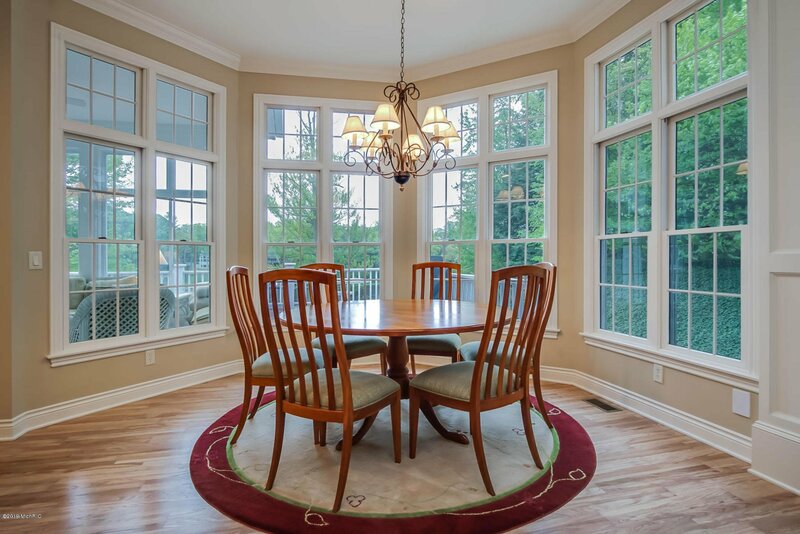 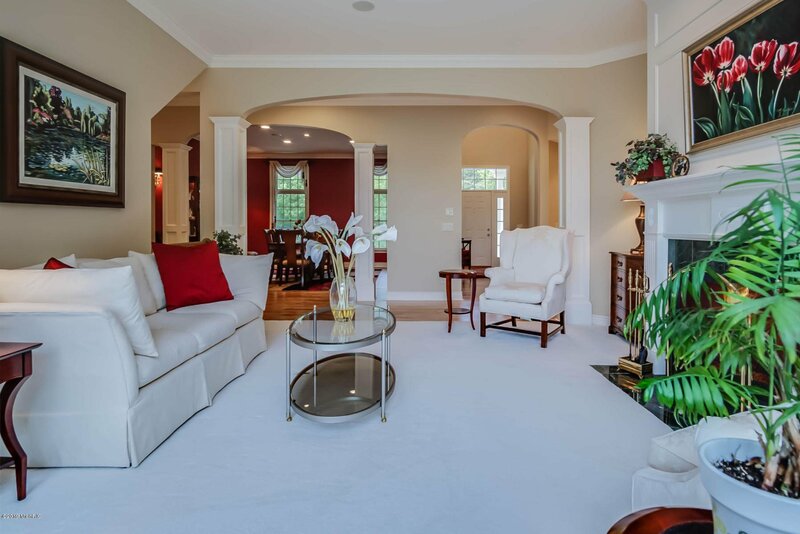 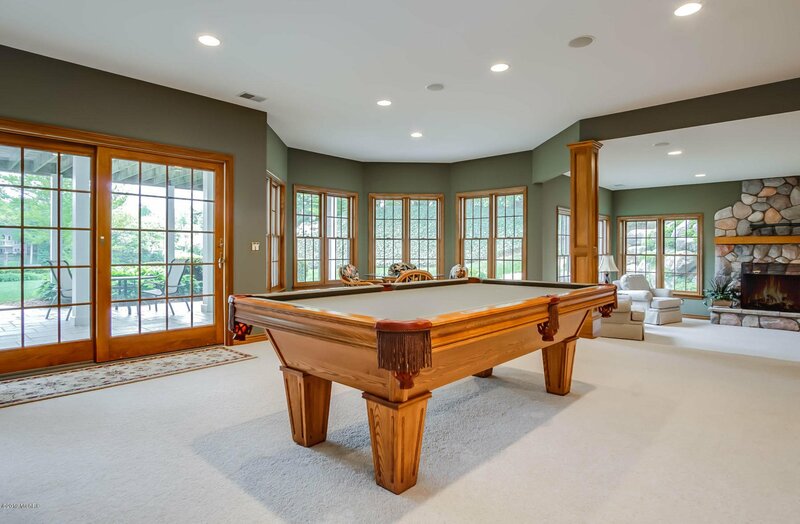 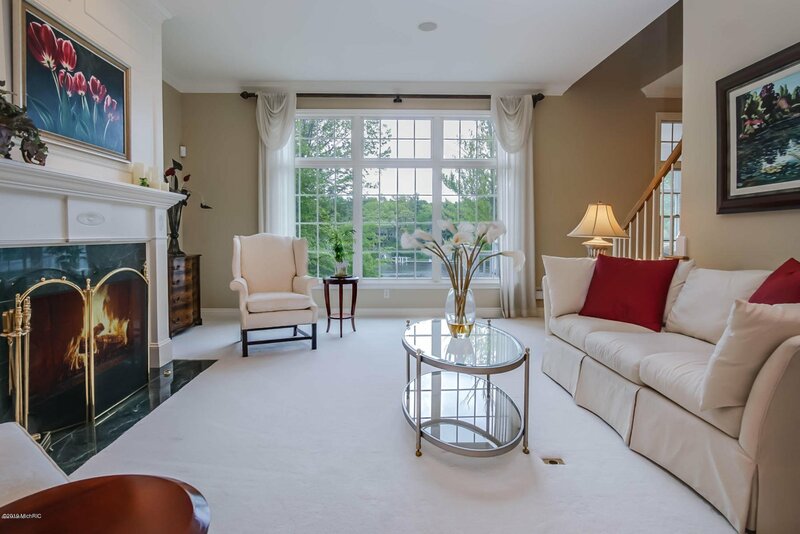 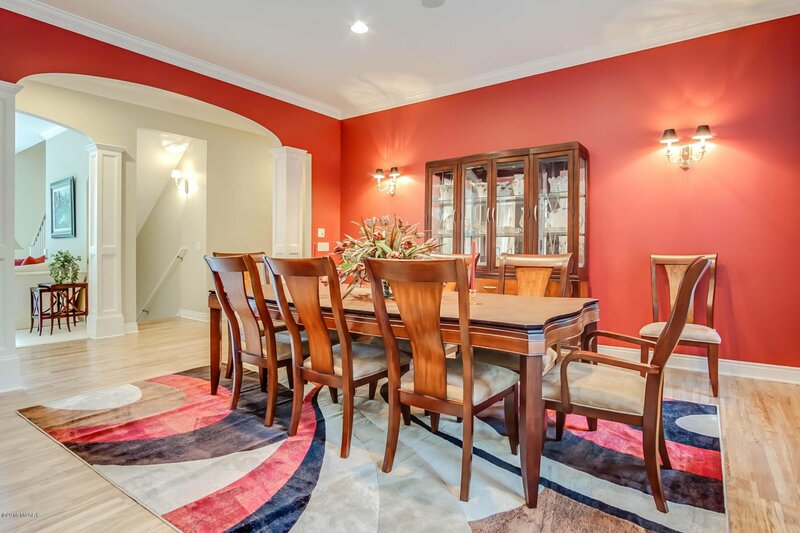 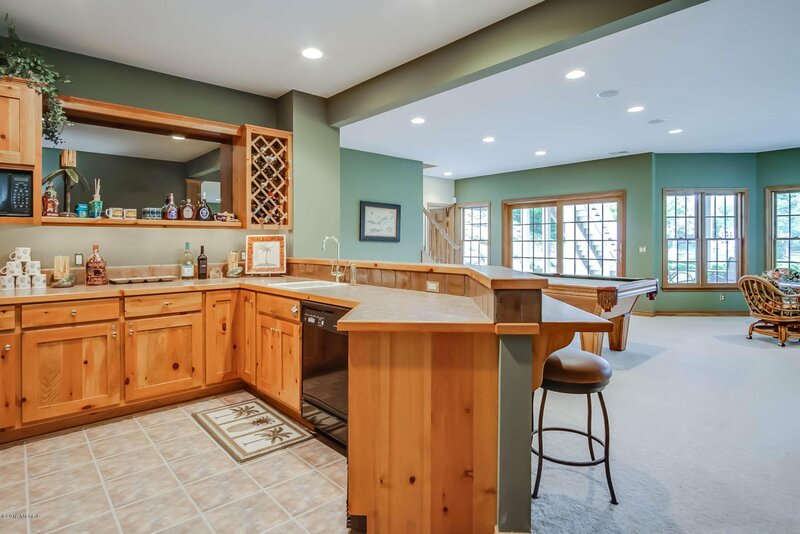 6 bedrooms, 6 full baths, and 2 half baths conveniently located throughout the home allows for all those overnight guests with an abundance of privacy. 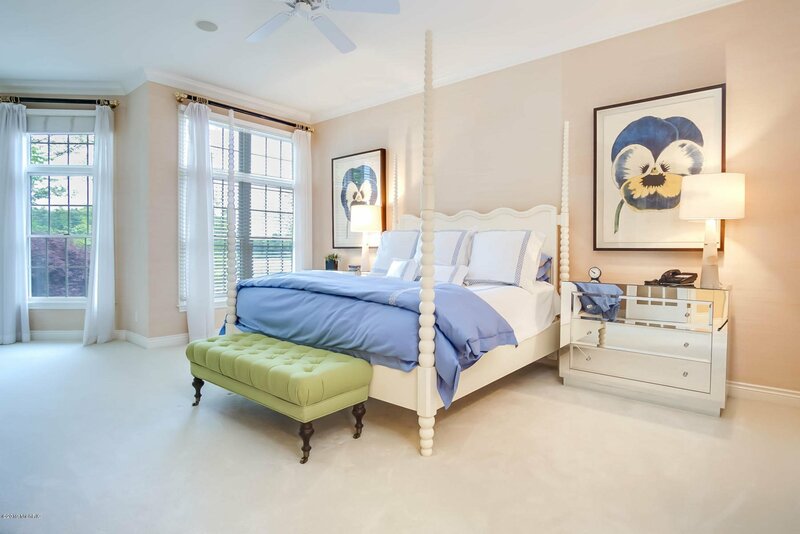 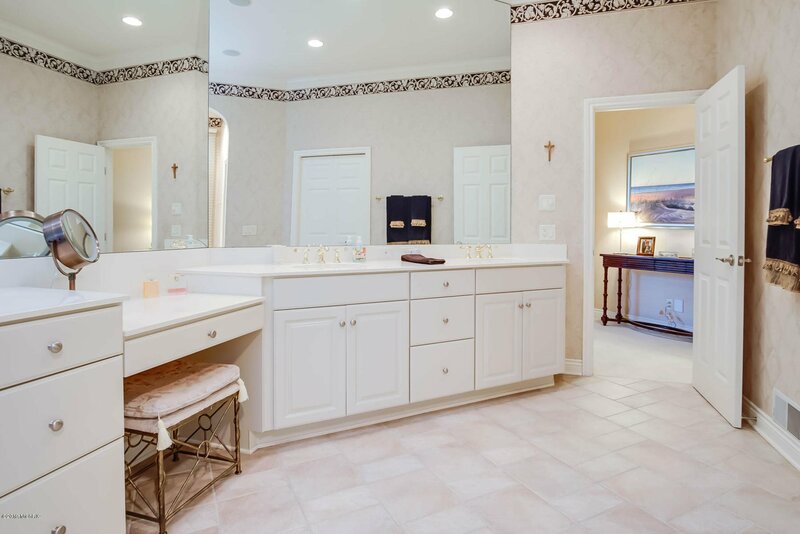 The luxurious master suite overlooks Spring Lake and has a beautiful en-suite bathroom with dual sinks, soaking tub, and adjacent walk-in closet. 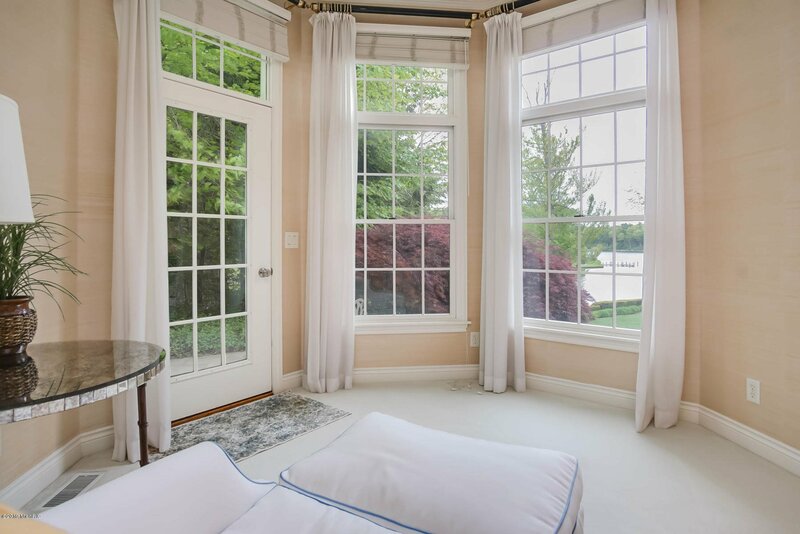 Just steps from the master suite you will find a perched hot tub also overlooking the water. 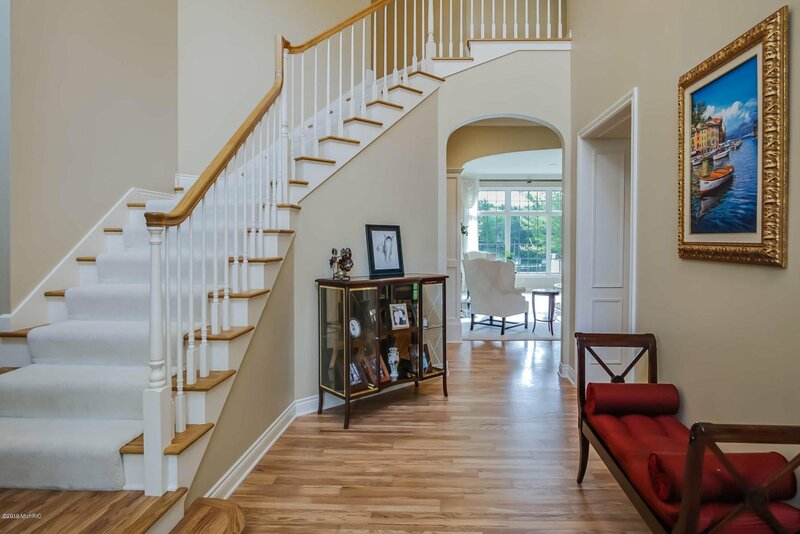 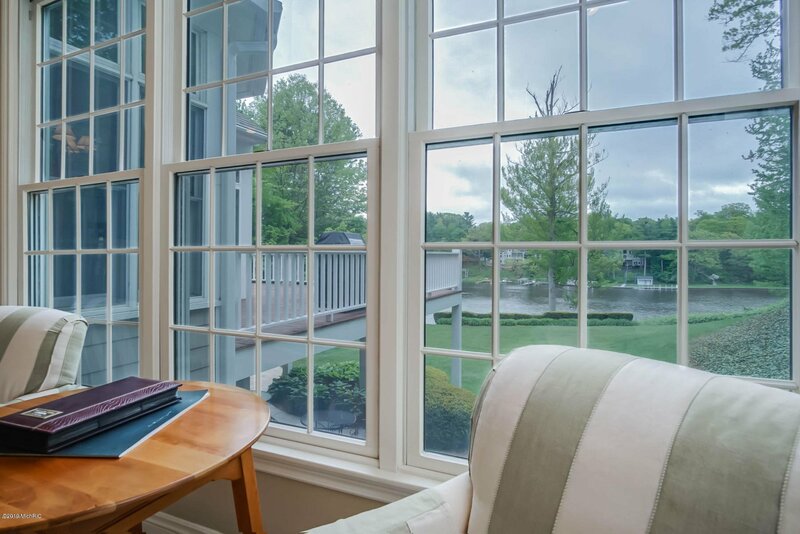 Moving to the second level, you will find 4 additional bedrooms with private baths, as well as a study. 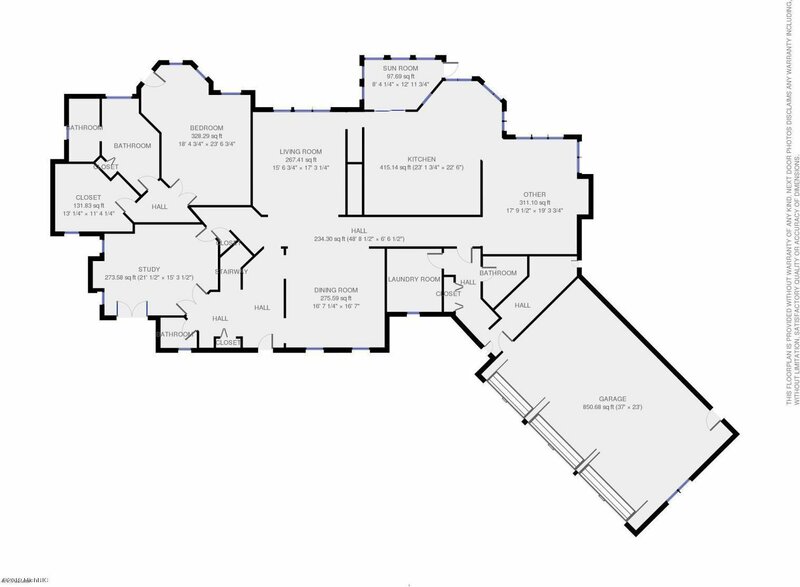 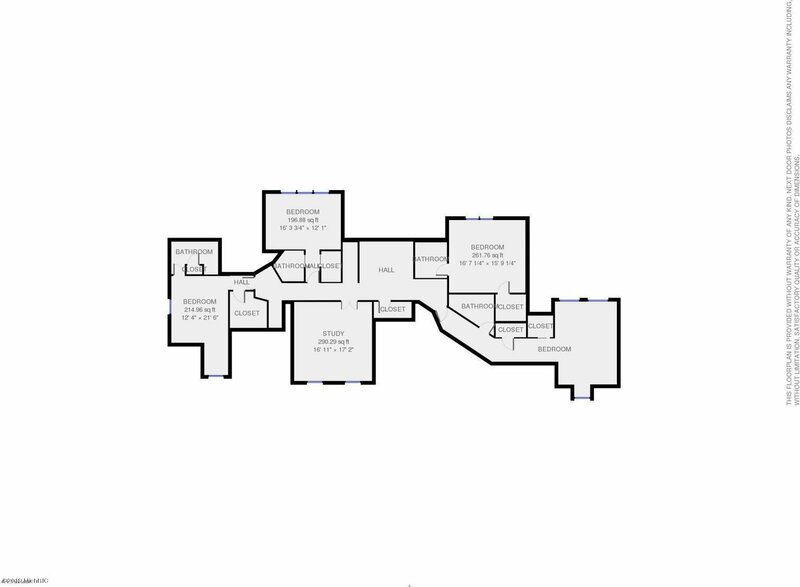 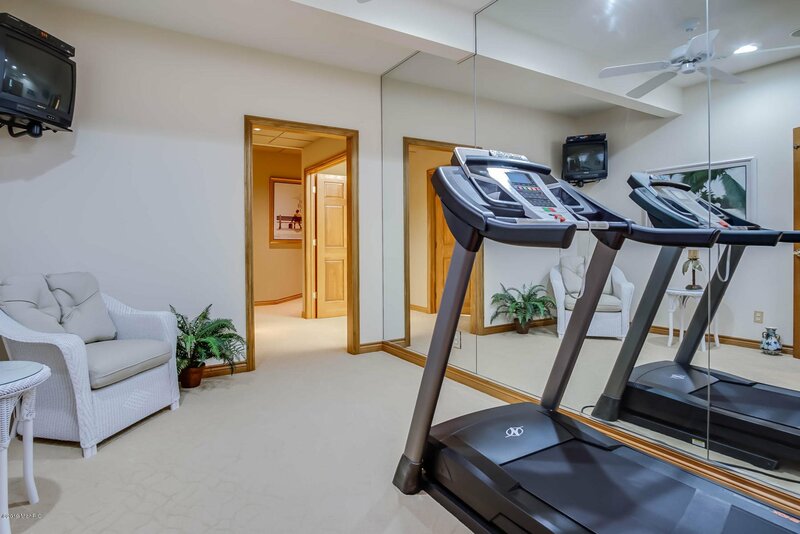 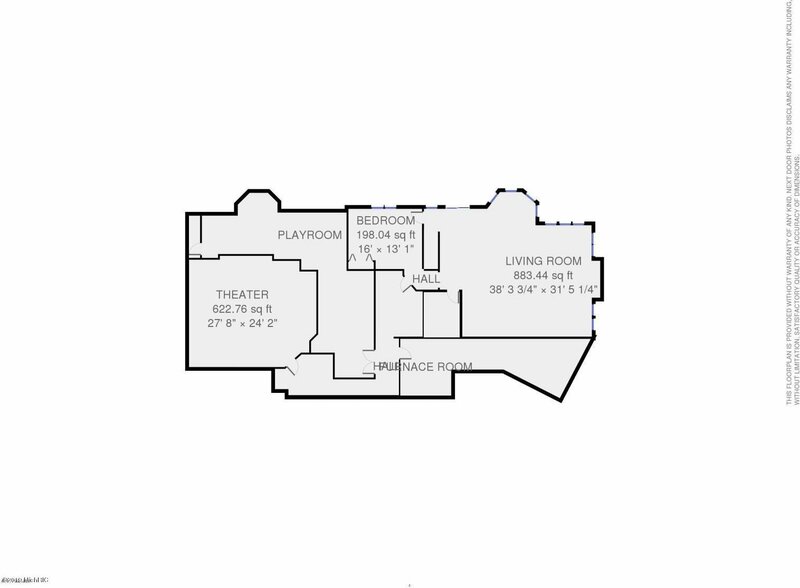 The lower level offers an additional 3,000 sqft of living space complete with a stone fireplace in the living area, a secondary kitchen, and a private bath adjacent to the exercise room. 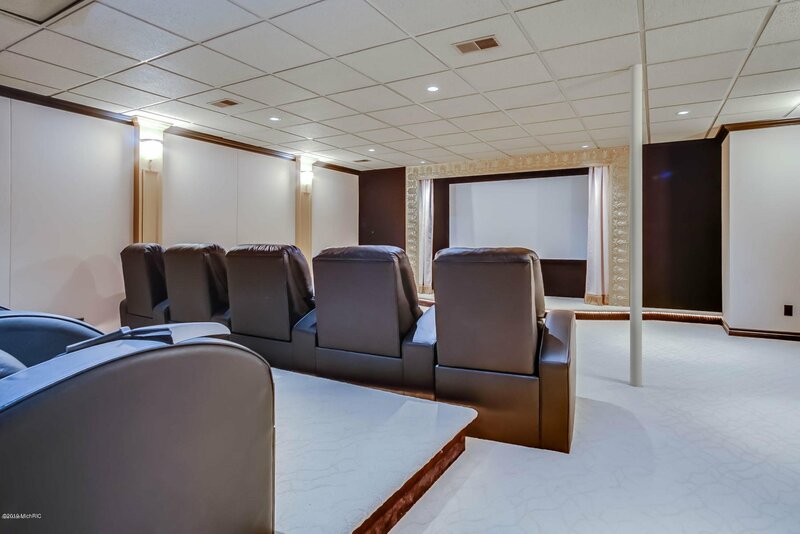 You will also find a state of the art custom movie theater with raised seating and game room. 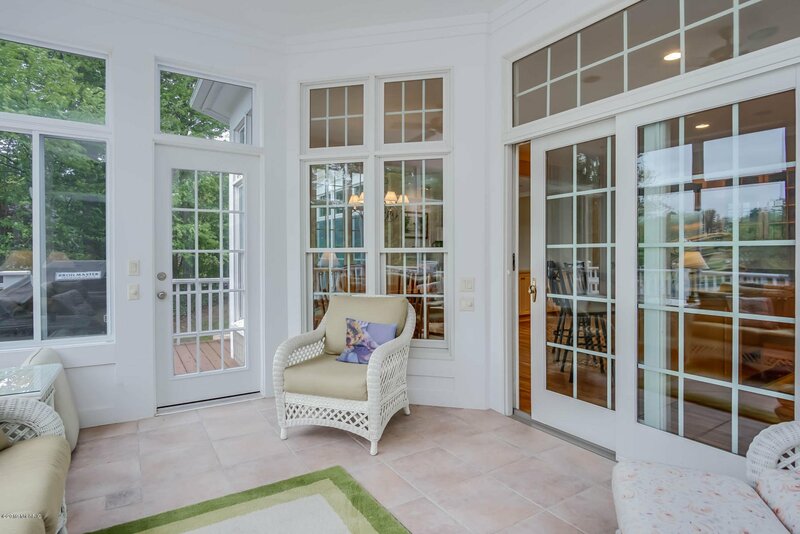 Walking out from the lower level, guests will enjoy a spacious patio in addition to the upper deck. 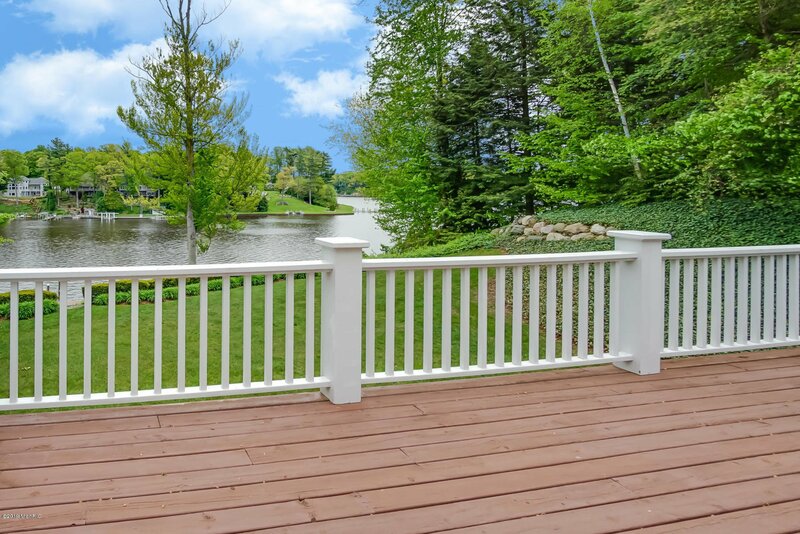 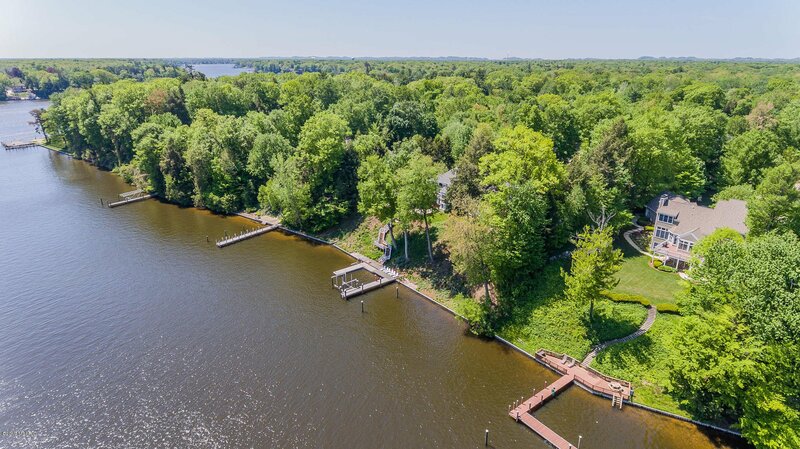 The immaculately landscaped lawn was designed to lower the grade of the bluff to make access to your private dock effortless. 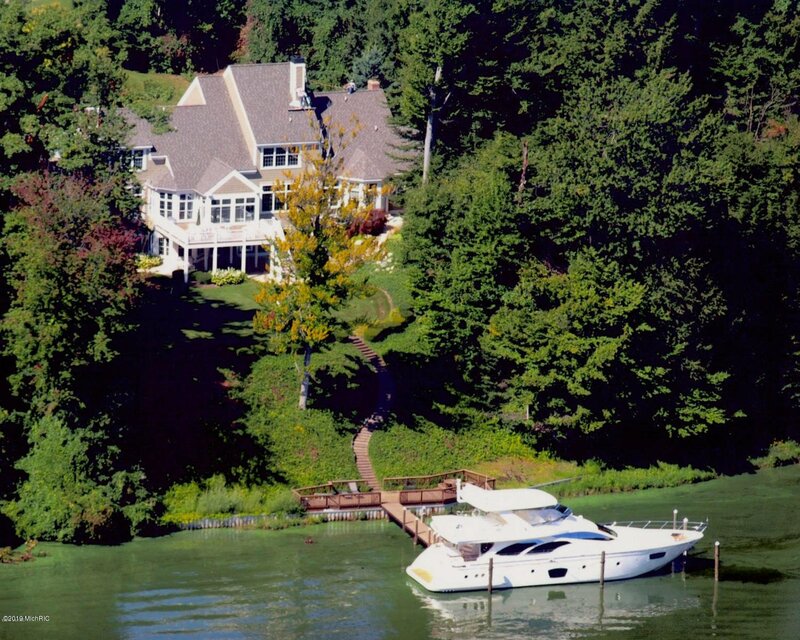 Boats as large as 70 feet have been docked at this residence. 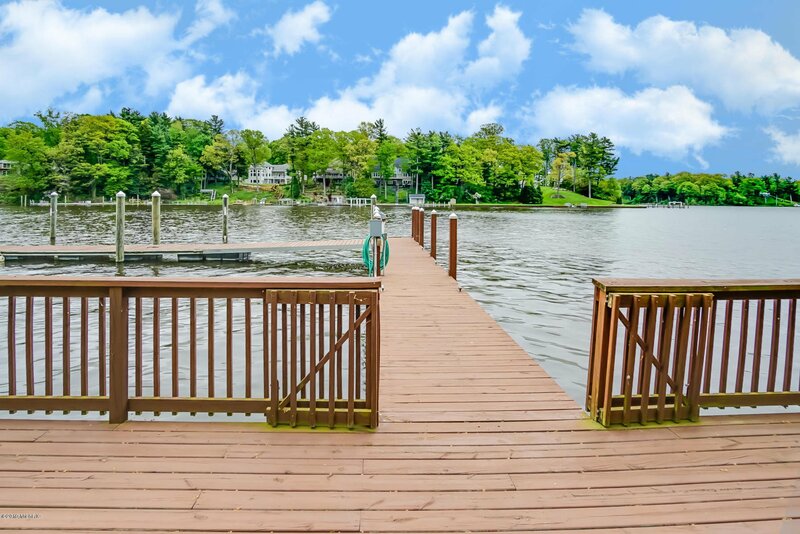 The deep-water dock is equipped with 100 amp power service and can accommodate 2 large boats. 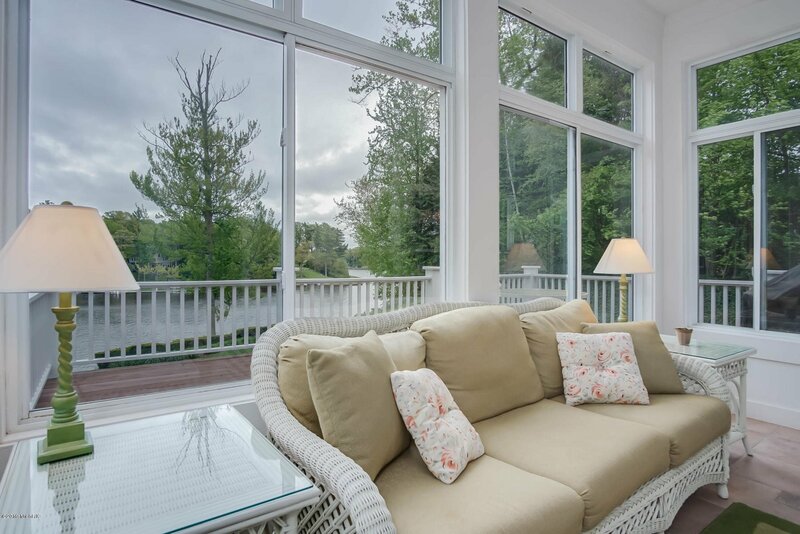 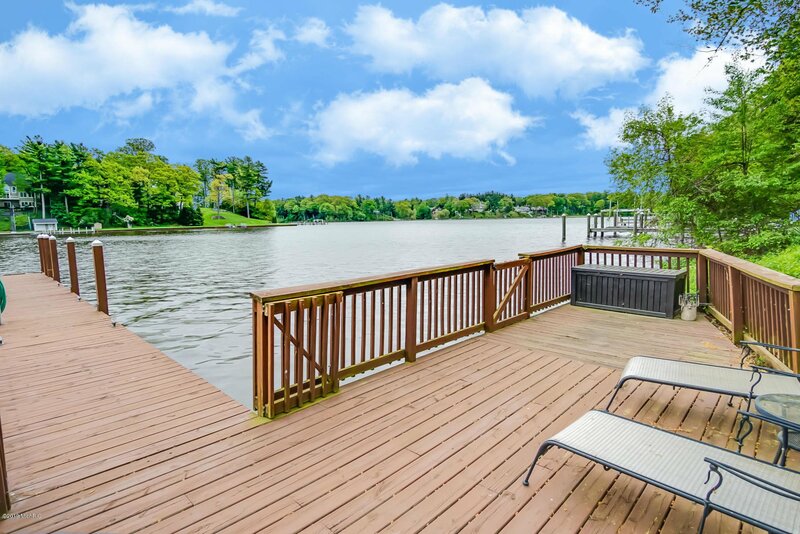 If waterfront living is what you are in search of, schedule your private showing at this one of a kind Spring Lake residence today!